Callum Hudson-Odoi’s future at Chelsea has been one of the recurring subplots of the January transfer window. The Daily Mail reported last week that the young winger is ready to reject Chelsea’s offer of an £85k per-week contract and The Sun now claim Hudson-Odoi wants a move to Bayern Munich thrashed out next week. Hudson-Odoi could become next on a list that already includes Mohamed Salah, Romelu Lukaku and Kevin De Bruyne – players who hardly got a look-in during their younger years at Stamford Bridge but have since excelled elsewhere – and London Evening Standard believe Chelsea are ‘determined’ to keep him at the club. More minutes on the field than what’s currently on offer will be one of the deciding factors in whether or not Hudson-Odoi stays at Stamford Bridge, as per the above reports. Maurizio Sarri has rarely turned to the Chelsea product since taking over from Antonio Conte, with Hudson-Odoi making just three substitute appearances in the Premier League – amounting to a mere 61 minutes. Bayern Munich, meanwhile, need successors to veteran wide men Frank Ribery and Arjen Robben, so they’re in a position to offer Hudson-Odoi more game-time straight away and kickstart that transition process. For Sarri then, his hands are pretty much tied; either there is some guarantee Hudson-Odoi will be more involved at Stamford Bridge, or he’ll likely make the move to the Bundesliga. Convincing Hudson-Odoi that minutes on the field will come is one thing but delivering is another, and if Sarri does that then Willian will likely have to take a back seat. The 63-cap international has featured regularly under the former Napoli boss, but Sarri will struggle to squeeze the 30-year-old into his plans as well as Hudson-Odoi, Eden Hazard, Pedro and confirmed signing Gonzalo Higuain (Chelsea’s official website). 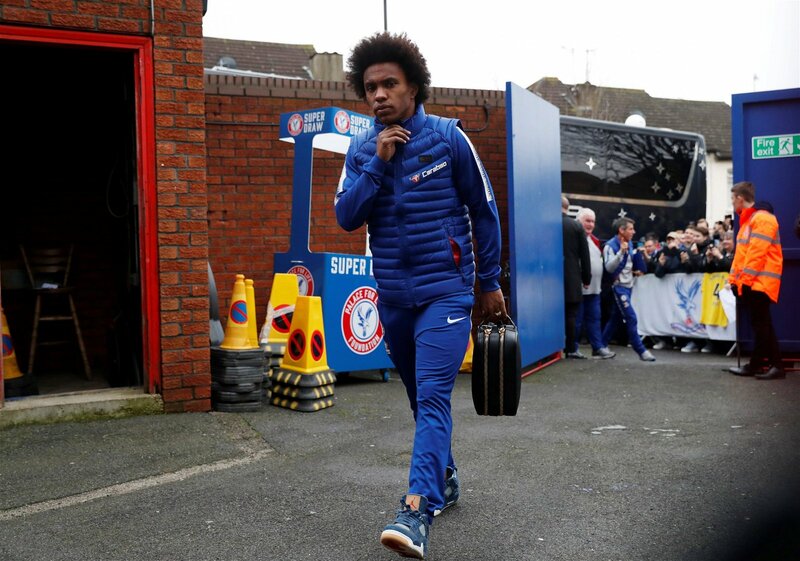 That could well force Willian out the exit door, either this month or in the summer, but Chelsea shouldn’t be short of potential suitors. Earlier this month, The Times reported that the Blues had rejected an offer for Willian from Barcelona. Conte may have won the Premier League and FA Cup during his time in charge of Chelsea, but the Italian’s defensive tactics made for some rather dull football. Sarri’s arrival as his successor was meant to change things up in that respect and turn the Blues into one of the more attractive sides to watch, but that is unfortunately yet to spark into life. But perhaps Sarri needs somebody young who can be moulded to suit the nuances of his system and at 18 years of age, Hudson-Odoi certainly fits the bill considering the Chelsea boss has already said he’s near the same level as Pedro and Willian – per The Telegraph. If Hudson-Odoi can get to grips with precisely what Sarri’s system requires from the wide players, then he could have a huge role to play over the next 18 months. So, Chelsea fans, would you prefer to keep or sell Hudson-Odoi? Let us know by commenting below!